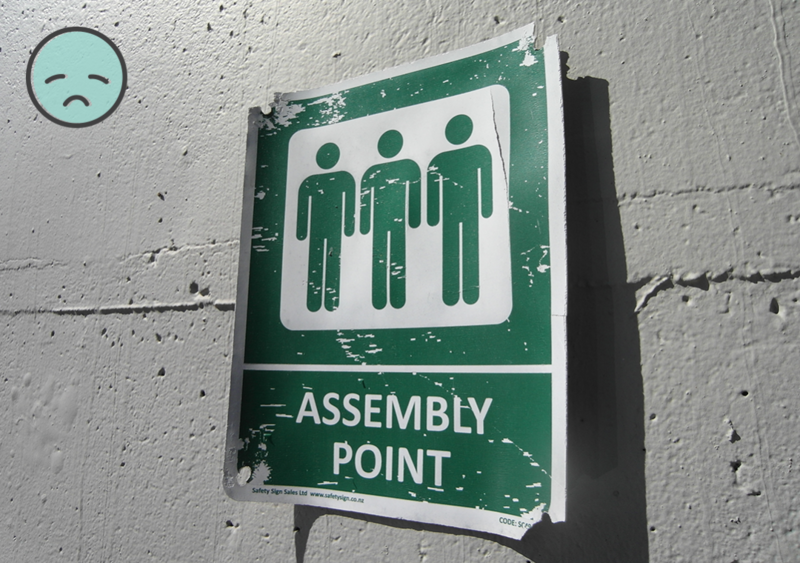 Evacuation assembly points should be large enough to accommodate all of the building occupants. The space should be level to ensure all occupants are able to access it. 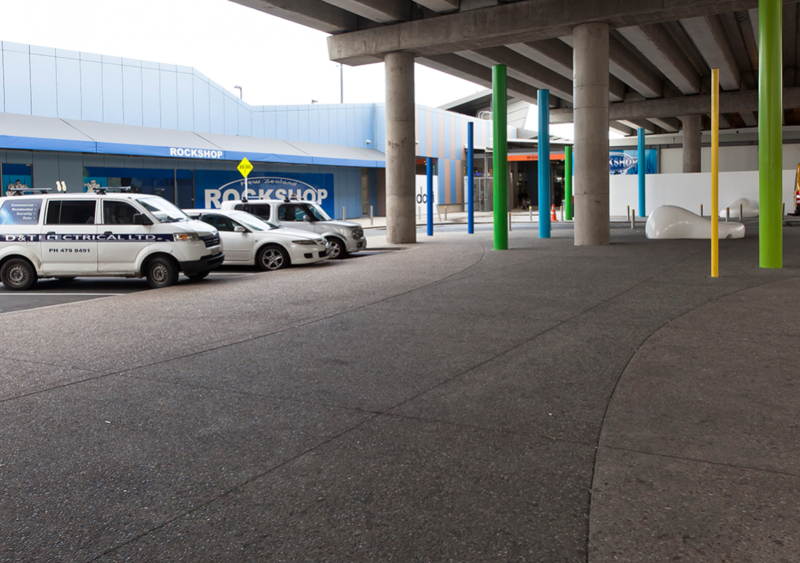 Assembly points should have clear, visible, and well-maintained signage…. Not like the sign above!